- $17 from Amazon. Gamestop also has them. 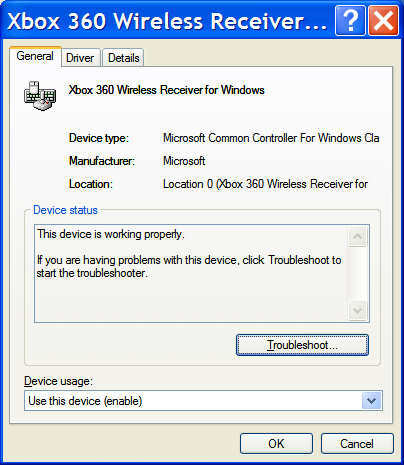 - Lets you use your Xbox 360 wireless devices with your Windows PC. 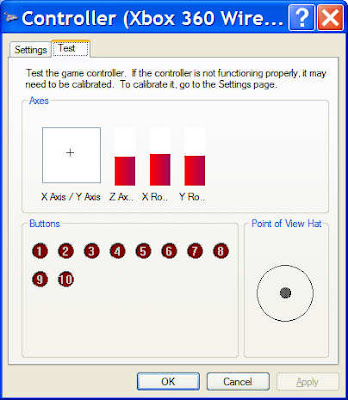 - Tested with the standard 360 wireless controller and headset. Yes the headset works! This was on winxp sp2. Not sure about vista support or other 360 devices. 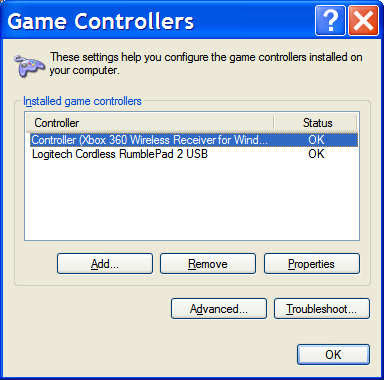 - Install the drivers, plug in the usb puck (It even works fine hooked up through a powered usb hub), hit the guide button on the 360 controller to turn it on, hit the sync button on the puck, hit the sync button on the controller and you're done. 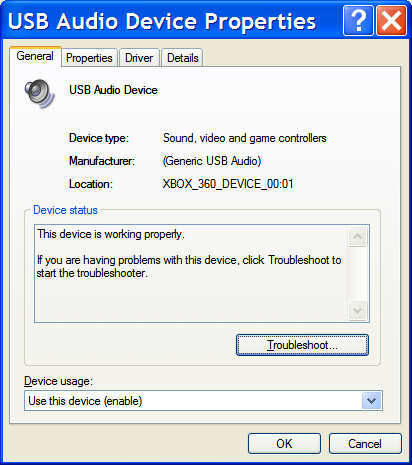 - Once installed two devices show up in the device tree if you also have the headset plugged into the controller. - When you hit the guide button this little window pops up that shows battery life. Clicking it displays some useless help. Right click lets you toggle a few options and check for updates. - The controller works great with no lag at all and great range just like it is on the 360. I tried Super Steet fighter II along with a few other games in gametap and it worked really well. Also, I tested the headset with audacity and Teamspeak which worked perfectly. This will be great with guild wars where we use teamspeak all the time. - Not sure if rumble is supported yet. - Doesn't seem to be a way to turn off the gamepad. When you power down the pc the gamepad goes into search mode until it finally turns itself off. 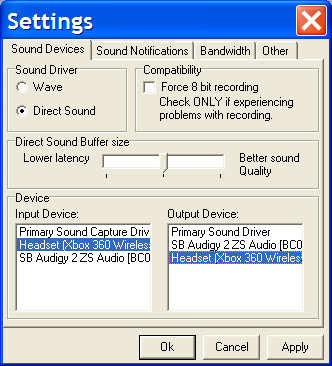 - You can duplicate how sound works on the 360. Do the above change in sound settings control panel so all the usual game sound/music comes from your original sound card (in my case audigy 2zs). You'll get nice 5.1 as you usually do. 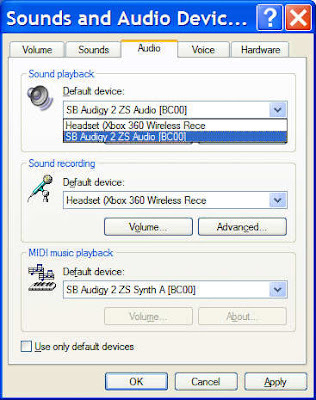 Then in teamspeak options you can change what sound device to use so just point to the 360 headset for both input and output. Now all voice communications go through the headset (incoming and outgoing) and all game sounds come through your 5.1 speakers. It works perfectly just like a 360. Very highly recommended. Even better if you already own a 360 and the controllers. It's almost worth it just for the headset support. yeah but how come i cant turn it off! that's ridiculous. am i only supposed to be using my pc for games?! Have you tried the controller with Guild Wars? How did it play? Thanks for the informative post! Actually I haven't. My guess is that it probably wouldn't work too well. GW really is more of a keyboard/mouse game in my opinion. Plus, I need all those keyboard keys for quick access to your 8 skills (especially during pvp).